Russia made their Rugby World Cup debut, coming out on the wrong side of a 13-6 scoreline in their clash with the United States. Mike Petri's wonderful solo try proved the difference between the two sides on the night. Yuri Kushnarev accounted for all of the Bears' points, the fly-half landing two penalties. Irish rugby was in shock after promising centre Nevin Spence tragically died. The 22-year old, an Irish Wolfhounds international and a member of the Ulster squad that reached the 2012 Heineken Cup final, died after falling into a slurry tank. He passed away alongside his father and brother. Tributes were paid from around the rugby world to Spence with Ulster's Rory Best speaking at his memorial service and skipper Johann Muller also leading the tributes. Jan Webster inspired England to a 16-10 victory over New Zealand in Auckland. It was the first away Test win by any Home Union against New Zealand. 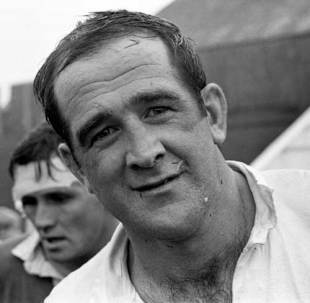 Tony Neary, Peter Squires and Stack Stevens scored tries for England, with fullback Peter Rossborough converting two of them. The All Blacks had picked up a 9-0 victory over England at Twickenham in January, but were unable to repeat the feat as they fell short in front of an expectant crowd of 56,000 at Eden Park. England manager Martin Johnson is forced to defend his players after they went for a night out in Queenstown during the Rugby World Cup. Mike Tindall, who was shown on security footage in conversation with a woman, Chris Ashton and Dylan Hartley are among the players pictured at the Altitude bar, which was holding a "Mad Midget Weekender". Eighteen years after its inauguration, a Southern Island Union took the Ranfurly Shield for the first time when Southland beat Wellington 17-6 in Invercargill. The 29 members of the Australian touring side, whose visit was cancelled hours after they arrived owing to the outbreak of War, were received at Buckingham Palace by HM King George VI and Queen Elizabeth. Rhys Gabe, legendary centre of the Welsh Golden Era of the early 1900s and member of the Welsh team that defeated New Zealand in 1905, died aged 87 in Cardiff Royal Infirmary. Leicester won 40-18 at Kingsholm against a strong Gloucester side. Two drop goals by Andy Goode, two tries by Lewis Moody and accurate place-kicking by Tim Stimpson were the highlights of a win that even at the early stage of the season pointed to the Tigers taking the Premiership.